Born in Damascus on the 13th of Dhul Hijja, 1382 AH (1963 CE), Shaykh Sayyid Muhammad Abul Huda al-Yaqoubi is from a noble family of scholars that descend from the Prophet Muhammad (may Allahâ€™s peace and blessings be upon him). From this household have emerged numerous renowned men of Allah who have taught the sacred sciences for many centuries. Shaykh Muhammadâ€™s father, the light of Damascus and master of the Islamic disciplines, Sayyid Ibrahim al-Yaqoubi, was one of the greatest scholars of The Levant in recent times. 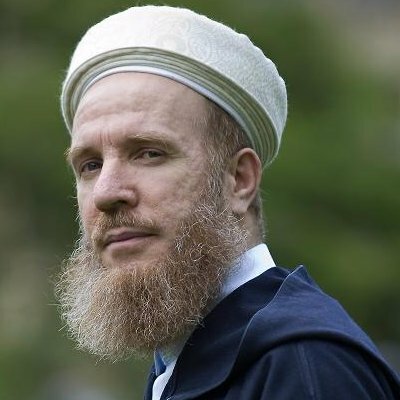 Shaykh Muhammadâ€™s grandfather was a great scholar and Gnostic, Sayyid Ismail al-Yaqoubi; his fatherâ€™s maternal uncle was Shaykh Arabi al-Yaqoubi and his paternal uncle was the famous Gnostic, Shaykh Sharif al-Yaqoubi. Amongst his blessed ancestors, three have held the Maliki Imamate at the Grand Umayyad Mosque in Damascus â€“ may Allah envelope them all in His mercy. Shaykh Muhammad traces his lineage back to the Prophet Muhammad (may Allahâ€™s peace and blessings be upon him) through the great Mawlay Idris al-Anwar who built the city of Fes, a descendant of Sayyiduna al-Hasan the Second, who is the son of Sayyiduna al-Hasan (may Allah be pleased with him), the grandson of the Prophet (may Allahâ€™s peace and blessings be upon him) and son of Sayyiduna Ali ibn Abi Talib (may Allah ennoble his countenance).